Berezka Nicolai Ivanovich — MD, professor. 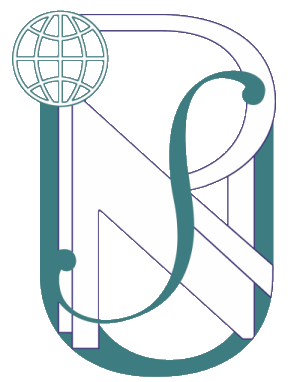 Department of emergency and urgent health care, orthopedics and traumatology was founded as department of anesthesiology, traumatology and emergency medical care in September of 2012. 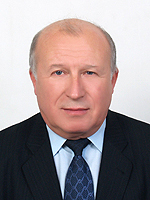 Md, professor Litovchenko Viktor Alekseevich – senior teacher in organizing educational process, in charge of exam “KROK-2” and “KROK-3”, in charge of implementation and organization – method supplying of education in state language. -Responsible for clinical work, responsible for course military state of emergency surgery та emergency surgery, thematic courses. Lab. assistance Krasnokutska Lyudmila Pavlovna. In department it is successfully provided all forms of postgraduate education (internship, clinical ordination, MD, Phd course at orthopedics and traumatology specialty). Also it is carried out in Department education of medical students in «Emergency and urgent health care», «Surgery of terminal conditions » аnd «Surgery of war time and disaster injury» issues. Courses for medical topic sophistication and category preassessment courses for orthopedics and traumatology specialist are regularly available in department. We present to cadets emergency conditions of related specialties. Preparations and training in first aid emergency medical non-medical staff whose professional activities related to delivery of first medical emergency are also provided. Department is provided research investigation activity for hip, shoulder and knee arthroplasty, epidemiology and minimally invasive technologies in treatment of road-accident polytrauma patients, treatment of complicated long bone diaphisis fracture. 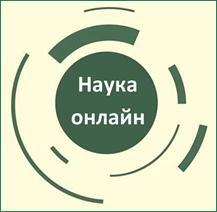 Department is developed the next research topic - “Clinically-organizational principles of functioning, structure and scientifically-material sources of emergency health care for road accident trauma patients in Kharkiv region”. Clinical work is proceeding in multispecialized Kharkov regional health hospital. Patients of Kharkov region obtain consultations in polyclinic and specialized stationary help in clinical departments. Modern diagnostic center is equipped by MRI, CT, digital X-ray, angiographic station, laboratory complex, ultrasonography, 24 hours monitoring of ECG and etc. Orthopedic department has 35 patient places, gives as urgent service as planned help to patient with consequences and complications of skeletal injuries, and is the center of highly specialized medical help in Kharkov region. Polytrauma department has 20 patient places, and include in structure own intensive care unit for 6 patient and operating block. In this department to patient with multiple, combined injuries offers medical care. Department provides clinical activity in Emergency medicine center, which give consultative-treatment care to local hospitals in Kharkov region. Staff of this center include neurosurgeons, orthopedics, anesthesiologists, functional diagnostic specialists, which formed groups for urgent help in local hospitals, and, if needed, evacuate patients in regional center. All this give possibilities to perform education in specialized departments of Kharkov regional hospital: orthopedic, surgical, neurosurgical, vascular surgery, emergency-diagnostic department and etc. Urgent and emergency medical service is available for Kharkov region patient all day round. Which give possibilities for student and postgraduate course doctors mastering to different practical skills of care for skeletal injured patients. This departments is equipped by modern monitors and instruments. Center of emergency and urgent health care give consultative and evacuative aid to severely ill patients with different disease. Intensive care car with respirator, oxygen delivery, monitors has all equipment for managing critically ill patients. Center has artificial model for teaching and practicing cardio-lung reanimation, emergency procedures. In pathological department were created conditions for acquisition of different practical skills (central vein catheterization, tracheotomy, cricothyreoidotomy, puncture and catheterization of epidural, intrathecal space), learning anatomy of airway, nerves and etc. 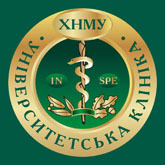 Department of emergency and urgent health care, orthopedics and traumatology was founded 2 of September 2013 year by reorganization of department of anesthesiology, traumatology and emergency health care, due to including in educational process of Highest educational institutions of ІІІ – ІV level of accreditation «Emergency and urgent health care» discipline according to Ukrainian Law №5081-VI «About emergency medical help» from 05.07.2012. Main aim of department is theoretical and practical teaching to skills for emergence and urgent health care to critically ill patient, learning to « Surgery of terminal conditions» and «Surgery of war time and disaster injury» disciplines, and postgraduate education of orthopedic doctors.